It’s a truly sceptical statement. Xenophon believed that the gods purposely did not reveal all knowledge to humanity, deliberately leaving it to humanity to find things out for themselves, in order that they could have a deeper understanding of the cosmos. However, human knowledge is, in the last analysis, ‘a web of guesses’. They are actually attempts by the human intellect to understand the universe, but not true knowledge itself. In fact the nature of the universe is such that people wouldn’t understand the truth about the universe, even if they were accidentally to stumble upon it. The astronomer John Barrow said something similar in his book, Theories of Everything. Barrow was arguing against the view of Stephen Hawking, and repeated in the popular press and science journals, that we could have a final ‘theory of everything’. He argued that the nature of the universe was so complex, and some of the events that created the modern cosmos, such as the symmetry-breaking in which the original superforce broke up into the separate forces of gravity, electromagnetism, and the strong and weak nuclear forces, were so random, that a theory of everything would be so general that it would actually explain nothing. Or else it would be so complex, that it would need another theory to explain it in turn, and so not actually be a final theory of everything. And so despite the claims of Stephen Hawking, the final truth about the universe, expressed into the kind of equation you put on a T-shirt, like the Ultimate Question and the Ultimate Answer ‘What’s 6 x 9? 42’ in the Hitch-Hiker’s Guide to the Galaxy, will remain forever elusive. Bryan Magee, Popper (Glasgow: Fontana/Collins 1975) p. 28. Last week, the Beeb started a new series on the history of science, Science Britannia, broadcast on BBC 2 on Wednesdays at 8.00 pm. Fronted by Professor Brian Cox, now Britain’s answer to Carl Sagan, the series traces the development of British science and the personalities of the scientists involved from the mid-18th century. The name, Science Britannia, seems to come from the various music documentary series the Beeb has screened over recent years, such as Jazz Britannia, and one on caricature, political satire, the Music Hall and burlesque, Rude Britannia. Now any series on the history of science is to be welcomed, though my problem with such series is that they are always set in the Renaissance or later. In this case, I suspect the series has been influenced in its selection of the date at which to begin by Jenny Uglow’s, The Lunar Men. This was about the 18th century society of natural philosophers – the term ‘scientist’ was not coined until the 19th century – of which Erasmus Darwin was a member. He published his own theory of evolution fifty years before that of his better-known grandson, Charles. On this Wednesday programme Cox does go back to Isaac Newton in the 17th century, to examine his psychology, as well as that of later pioneering British scientists. Adoption for the purpose of preventing the deaths of unwanted children, Council of Vaison, 442. Orphanage, St. Maguebodus, c. 581. Electrotherapy, Paul of Aegina, 7th century. Tide Mills, Adriatic and England, 11th century. Armour plated warships, Scandinavia, 11th century. Spectacles, Armati or Spina, c. 1280. Pencil – silver or black lead used for drawing, 14th century. High Explosive Marine Shell, Netherlands, c. 1370, or Venice 1376. Diving Suit, Kyeser, c. 1400. Double crane, Konrad Kyeser, early 15th century. Arquebus, Spain, c. 1450, first used at Battle of Moret, 1476. Air gun, Marin Bourgeois, 1498. Great Inventions Through History (Edinburgh: W&R Chambers 1991). This is only a short list. 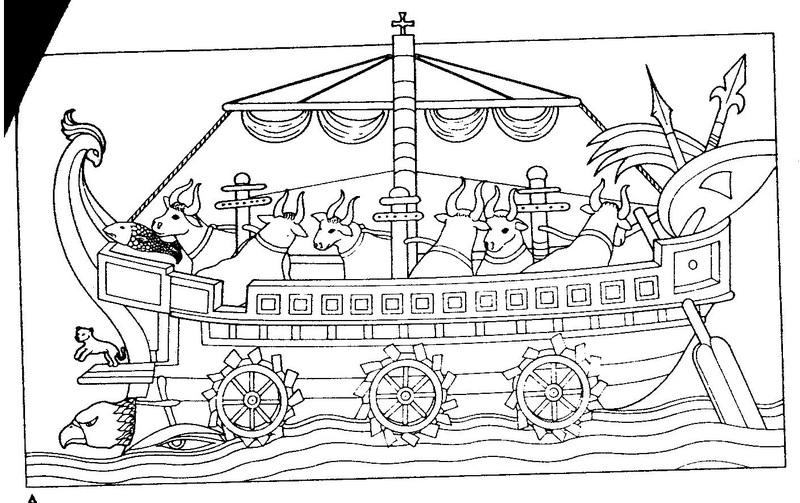 There have been whole encyclopaedias written on medieval science and technology. I think one reason why such as programme has not been broadcast is because it conflicts with the received wisdom about the Middle Ages, and the aggressively atheist views of some of the media own scientific darlings. Since the Renaissance, and particularly since the 19th century, the Middle Ages have been viewed as an age of superstition, in which the Church actively discouraged and persecuted science and scientists. This wasn’t the case, but the idea is still promoted very strongly. One of those, who continues to do this, is Richard Dawkins, who is now known as an atheist propagandist almost as much for his work as a biologists and science writer. Very many of the science programmes screened on British television, whether BBC or Channel 4, included Dawkins as an expert. He is a popular speaker at literary and science festivals, even though his views on the relationship between science and faith and the history of science are completely wrong. Nevertheless, it agrees with the historical prejudices of his audience and the media. James Hallam said that he found it difficult to find a publisher for his book, God’s Philosophers, but its demonstration that people of faith – Christian priests, monks and laymen – could do great science in the Age of Faith – directly contradicted the popular view of the period. One publisher explicitly told him that they weren’t going to be publish the book because they were an atheist. Censorship and bigotry is by no means the sole province of the religious. Unfortunately, the current institutional structure of the BBC and its commissioning process appears to make this extremely difficult to correct, at least for those outside of the television industry. A year or so ago I was so incensed at the repeat of the media’s prejudice against medieval science, that I considered writing to the BBC to propose a series on it to correct it. I ended up giving up altogether. If you go to the relevant pages on this, you’ll find that while the BBC will accept scripts and suggestions from outside the industry for drama, fiction and comedy, all factual content must be developed with a production company before they will consider it. What this means is that unless you are already a media insider, you have absolutely no chance of getting your idea for a factual series developed for TV. I hope, however, that the Beeb’s view of medieval science will change, and that we can expect a series on it sometime soon. In the meantime, if anyone has any suggestions, how I can approach the Beeb or another TV channel or production company to get such a series made, please let me know. It’s about time we did something to challenge this fashionable atheist myth. I’ve mentioned the great s18th century Swiss scientist and anatomist, Albrech von Haller, several times on this blog. Von Haller came from Berne in Switzerland, and was a pupil of the great Dutch scientist and doctor, Boerhaave. He was a student at the universities of Tubingen and Leyden. After graduating, he moved to London and Paris before finally accepting a post of Gottingen University, which had only recently been founded. He simulataneously occupied the chairs of anatomy, botany and medicine there for 17 years. It was under his management that Gottingen university managed to become one of the leading centres for medical research and teaching in Germany, so that it was compared to Leyden in the Netherlands. While at Gottingen he wrote 13,000 scientific papers. He also established botanical gardens, wrote a flora of Switzerland, and the first textbook solely devoted to physiology. This was in turn greatly expanded into the eight-volume edition published in 1757. This has led some historians of medicine to see von Haller as the founder of modern physiology. He also wrote novels and poetry. He was a man of deep religious faith. He founded churches, and his best-known poem, Die Alpen (The Alps) of 1729, considers God’s glory in the grandeur of the Swiss mountains. He was an evangelical Protestant with inclinations towards Pietism, but could also be strongly rationalist, so that he has been described as ‘thinking like a rationalist, and believing like a sincere Christian’. Clearly von Haller was a man of deep faith and a scientific and literary genius, who managed to combine literature, science and a deep commitment to Christianity in his career. One of the great medical discoveries has been that malaria is caused by mosquitoes, and specifically the microscopic parasite they carry. Before this discovery in the 19th century, it was believed that malaria was caused by bad air caused by rotting or filthy material. Hence the name of the disease, mala aria. The doctor who finally discovered that malaria was spread by mosquitoes was Ronald Ross, who was also a man of devout Christian faith. He went out as a young doctor in the Indian Army to find the parasite’s vector – the disease’s carrier – in the late 19th century. He worked, examining samples of mosquitoes for the parasite. Finally, on 2oth August 1897 he found the parasite in the stomach tissues of the anopheles mosquito. He had in fact nearly finished his research for the evening, and had frustrated by his apparent lack of success. His identification of the parasite in that mosquito made its identification as the disease’s vector certain. Ross was keenly aware how much this would improve the lives of millions of people in the future. He therefore wrote a series of verses praising the Lord for the discovery in a letter home to his wife. Sadly, malaria is still responsible for millions of deaths throughout the world, and there are real concerns about the emergence of strains that are resistant to the current drugs. Nevertheless, it is doctors and researchers like Dr. Ross, whether they are Christians are not, who have saved many lives that would otherwise have been lost to the disease, and who are our best hope for combating it in the future. I find most of the material on TV now remarkable only for how uninteresting I find it. But occasionally on eof the TV companies puts on a little gem. One of these was Mechanical Marvels: Clockwork Dreams on BBC 4 last Monday night at 9 pm. Presented by Professor Simon Schaffer, it was a history of European automato in the 17th and 18th centuries. Schaffer’s an historian of science, who has appeared on a number of other shows on the history of science. In this programme he discussed the way the development of clockwork in the Middle Ages had produced automata, little robots that were used in the most magnificent clocks. He showed the vast medieval clock in Berne in Switzerland with its numerous figurines. He then went to the palace of one the Austrian bishops, who had a Protestant clockmaker construct an entire clockwork town, complete with animals being slaughtered, artisans busy at their trades and all overseen by aristocrats, who themselves scarcely seemed to move. Schaffer noted this represented the ideal social hierarchy of which the Bishop was a part. The Bishop was supported in his wealthy by profits from the salt mines. The miners themselves were radical, and mostly Protestants. This had resulted in a crackdown by the Roman Catholic authorities. The Protestant mineworkers were banished. The clockmaker himself was forced to work under armed guard because of his sympathies. The programme then moved on Jacques Vaucanson, whose works were surely more like clockwork replicants than simple authomata. Vaucanson was deeply impressed with the technology that lay behind these great robotic marvels. He believed that it would be possible to use it to create an artificial human being. So he spent his evenings studying human anatomy, dissecting cadavers in order to replicate them more accurately in his art. His greatest creation was a mechanical flute player, which actually player the flute. A set of bellows acted as lungs, to blow air into the instrument, while the figure’s hands moved to cover and uncover the holes. It was even covered with real skin. This mechanical marvel disappeared sometime in the 19th century in eastern Europe, and no-one knows where it is, or even if it still exists. Then there was Jacquet Droz, one of whose automata was a little boy that actually wrote. 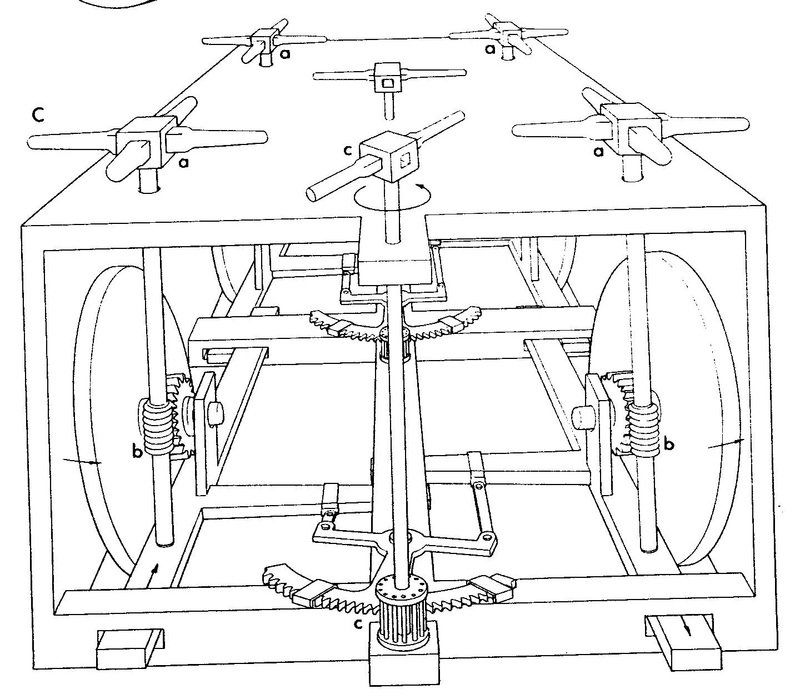 Schaffer explained that the key technological component of these automata was the cam, a wheel that moved the other pins and lever in the machines. 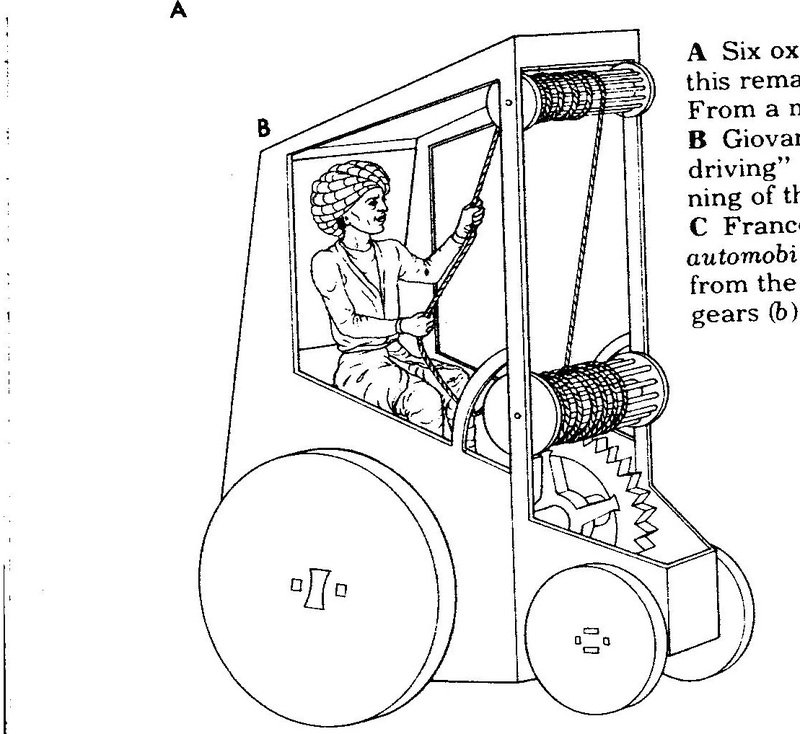 The shape of the wheel governed the movement of the other levers, working the machines’ limbs. They thus acted as a kind of mechanical memory, storing the instructions for the automata’s movements. The great complicated automata, such as Vaucanson’s flute player and Droz’s writer, had a number of them stacked one on top the other within the machines in a column. This column rose and fell as each camn was selected in turn to govern its part of the machine’s complex movements. The writing boy was particularly impressive as it physically wrote out on paper, ‘I am Jacquet Droz’ in French. It also drew a dog, and indeed, by changing the letters arranged in a wheel at the base of the figure, you could programme it to write anything you chose. Schaffer concluded that it was the distant ancestor of the modern programmable computer. These marvels were able to be produced through the intensive labour of poorly paid watchsmiths. These occupied particular areas of towns, such as Clerkenwell in London. There would be six or seven of them gathered around a table, working by candlelight to make a single component, such as an arm for the escapement mechanism. Schaffer noted that the technology began to acquire revolutionary implications. In the decades before the French Revolution, artisans and the working class began to claim equality with their lords and masters. These mechanical marvels were made for an exclusive audience of aristocrats. Jacquet Droz charged deliberately high prices so that only the upper crust could view them, and put up notices stating that servants would not be allowed in. The French Revolutionaries in their turn claimed that the king and the aristocracy were simply automata themselves, dressed in expensively lace. It was a dehumanising description that allowed them to send their monarch to the guillotine. Over the Channel in England, automata were seen as a way of winning the export battle with China. Europeans craved expensive Chinese goods, such as porcelaine and tea. Frustratingly, the Chinese were completely uninterested with anything Europe had to offer, with the exception of automata. The British entrepreneur James Cox thus set to work making them for export to China. His greatest employee was a Belgian emigre called Merlin. Merlin was highly eccentric. When he appeared in public, it was dressed as a bar maid, serving drinks, while playing the violin rolling around on roller skates, which he had also invented. He wasn’t always able to stop. In one incident, recorded in the papers, he collided with a £40,000 mirror, which he smashed to ribbons. Merlin’s greatest creation was a mechanical swan. Glass rods mimicked the actions of water. Between them sawm little mechanical fish. When activated, the swan moved its head, bent down, and took and ate one of the fish. Schaffer concluded the programme by comparing the storage of information on the automata’s cam systems, with the reproduction of speech on vinyl records, playing the programme out to a suitable piece of music. Contemporary Automata, Musical Robots, and Automata as Inspiration for Dr. Who Monsters. It was a fascinating programme. There have been a number of exhibitions of automata in recent years. You can find footage of them, including Jacquet Droz’s writing boy and Merlin’s swan on Youtube. The tradition of musical robots has also been taken up by Compressorhead. This is a genuinely all robot band, which I believe come from Germany. As robots, they naturally play Heavy Metal. You can find footage of them playing Motorhead’s Ace of Spades. Several of the automata clearly inspired some of the monsters in Dr. Who. Clockwork androids featured in a David Tennant episode, where the good doctor had to defend Madame Pompadour from being turned into spare parts for a stranded spaceship far in the future. The programme also featured the chess-playing Turk. This was an elaborate hoax. It was supposedly a mechanical figure of a Turk that played chess. It toured Europe, beating just about all the chess masters it played against. That was until its secret was revealed. The cabinet beneath the figure was actually large enough to hold a full-sized man, who moved the arms of the figure above him. He could even follow the game by looking upwards. There was a nod to this in a recent Dr. Who episode. Penned by the mighty Neil Gaiman, this had a hollowed-out cyberman that played chess, secretly worked by a dwarf. The dwarf was played by Warwick Davis, now showing that you can have a career after appearing as an Ewok. 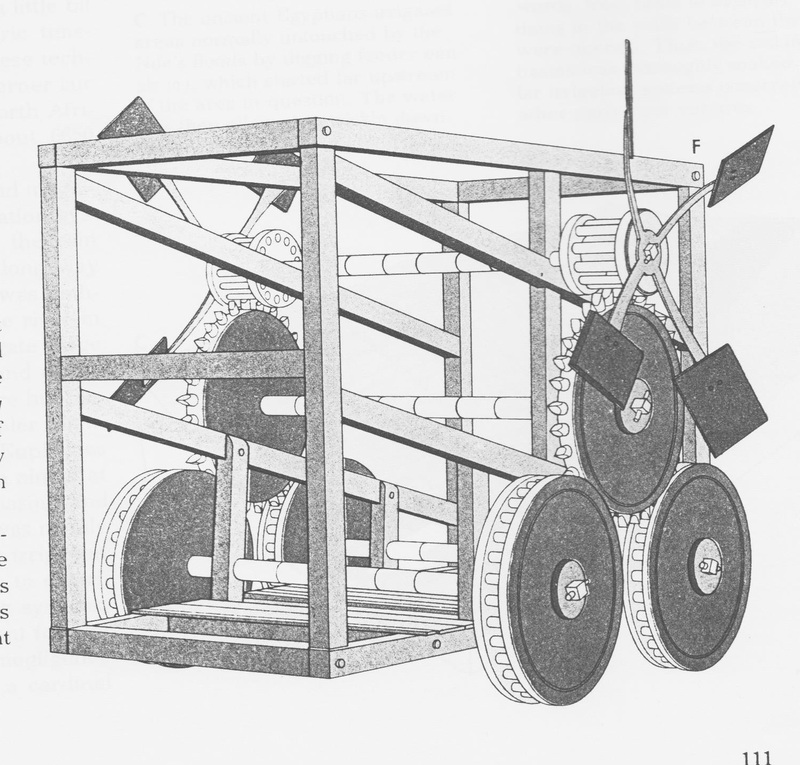 Schaffer also noted that the automata may also have served as inspiration for the mechanised looms of the industrial revolution. In a meeting with his fellow factory masters, Joseph Arkwright had wondered if it wouldn’t be possible to produce mechanical arms to work the looms similar to the mechanical arms of the automata. Surveying the merchanical arms on the industrial looms, Schaffer wondered if it wasn’t too far-fetched to see the similarity between them and those of the automata. The programme also showed how old the relationship between art and personal eccentricity had been. Since Andre Breton, Salvador Dali and the Surrealists artists have been linked to outrageous behaviour. So outrageous at times, that George Orwell felt compelled to attack the special treatment with which artists are indulged for attitudes and behaviour that would be condemned as completely unacceptable amongst Joe Public in his article, ‘Benefit of Clergy’. M. Merlin’s bizarre appearance and behaviour clearly qualifies him for inclusion with the other, contemporary masters of the bizarre and shocking, such as Damien Hirst, Tracy Emin and the Chapman Brothers, and some of the other winners of the Turner Prize. One of these also dresses in female attire. This part of the programme shows that art has always contained more than element of showmanship, and that artists have been shocking, scandalising and entertaining the public with bizarre displays of personal behaviour since the 18th century, if not long before. It didn’t just emerge with the Surrealists and the Situationists in the ’20s and 60’s. Schaffer did get something wrong, however. He seemed to suggest that clockwork first emerged in order to regulate town life. They didn’t. They emerged to regulate the times of prayer of the church, so that even villages had clocks. These also could possess automata. One of the devices portrayed in the notebook of the great thirteenth century architect and engineer, Villard de Honnecourt, is for a clockwork angel that revolved to face the sun. Nevertheless, Schaffer’s programme was a fascinating documentary on the prehistory of modern robotics. Unfortunately it was placed on BBC 4, which the Beeb seems to see as dumping ground for all the intellectual stuff it should produce as a publicly funded broadcaster, but which don’t actually bring the ratings its bosses crave. It should, however, be available on BBC iplayer. Some of the programmes first shown on BBC 4 are repeated on BBC 2. I hope that’s the case, as this fine programme deserves a wider audience. See below for a piece from Youtube of Jacquet Droz’s automata, including the writing boy. And here’s the awesome Compressorhead. Is it just me, or do they really look like the robots Art Robot Kevin O’Neill used to draw in the Robusters and ABC Warriors strips in 2000 AD. This is further to my post yesterday, in which I explained that atheism was a vital part of Communist ideology, citing Marx and Engels. In his article ‘On the Significance of Militant Materialism’, published in the March, 1922 issue of Trotsky’s journal, Pod Znamenem Marksizma (Under the Banner of Marxism), Lenin advocated the establishment of atheist materialism and propaganda as a vital part of Soviet ideology. He praised the above magazine, for including both Communists and Non-Communist materialists. ‘This statement says that not all those gathered round the journal Pod Znamen Marksizma are Communists but that they are all consistent materialists. I think that this alliance of Communists and Non-Communists is absolutely essential and correctly defines the purposes of the journal … Without an alliance with non-Communists in the most diverse spheres of activity there can be no question of any successful communist construction. … This also applies to the defence of materialism and Marxism’. ‘At any rate, in Russia we still have – and shall undoubtedly have for a fairly long time to come – materialists from the non-communist camp, and it is our absolute duty to enlist all adherent of consistent and militant materialism in the joint work of combating philosophical reaction and the philosophical prejudices of so-called educated society’. Lenin furthermore said of the magazine that ‘such a journal must be a militant atheist organ. We have departments, or at least state institutions, which are in charge of this work. But the work is being carried on with extreme apathy and very unsatisfactorily, and is apparently suffering from the general conditions of our truly Russian (even though Soviet) bureaucratic ways. It is therefore highly essential that in addition to the work of these state institutions, and in order to improve and infuse life into that work, a journal which sets out to propagandise militant materialism must carry on untiring atheist propganda and an untiring atheist fight. The literature on the subject in all languages should be carefully followed and everything at all valuable in this sphere should be translated, or at least reviewed’. Lenin then cited Engels’ recommendation that Communists should translate and republish the militant atheist literature of the eighteenth for mass distribution amongst the people. This should be done in abridged editions omitting material that was unscientific and ‘naive’, and including brief postscripts pointing out the progress in the scientific criticism of religion since the eighteenth century. This material should not be purely Marxist. ‘These masses should be supplied with the most varied atheist propaganda material, they should be made familiar with facts from the most diverse spheres of life, they should be approached in every possible way, so as to interest them, rouse them from their religious torpor, stir them from the varied angles and by the most varied methods, and so forth’. He then stated that this material was more suitable than the dry material of Marxism. ‘Pod Znamen Marksizma, which set out to be an organ of militant materialism, should devote much of its space to atheist propaganda, to reviews of the literature on the subject and to correcting the immense shortcomings of our governmental work in this field. It is particularly important to utilise books and pamphlets which contain many concrete facts and comparisons showing how the class interests and the class organisations of the modern bourgeoisie are connected with the organisation of religious institutions and religious propaganda. All material relating to the United States of America, where the official, state connection between religion and capital is less manifest, is extremely important’. For all that Lenin advocated an alliance with non-Communist atheist materialists, particularly scientists, he felt threatened by those atheists, that were, in his view, insufficiently hostile to religion. He inveighed against these as the ‘ideological slaves of the bourgeoisie, as ‘graduated flunkeys of clericalism’. He attacked an atheist account of Christianity’s origins by a Russian scientist, Professor R.Y. Wipper, because Wipper declared that he was above extremes of both idealism and materialism. He similarly attacked a book by the German author, Arthur Drews, which tried to make the case that Christ didn’t exist, because Drews wished for a revived, purified religion that would withstand ‘the daily growing naturalist torrent’. He was particularly afraid of contemporary philosophical trends towards religion that were based on the investigation of radioactivity – the discovery of radium – and particularly Einstein’s theory of relativity. ‘It should be remembered that the shap upheaval which modern natural science is undergoing ery often gives rise to reactionary philosophical schools and minor schools, trends and minor trends. Unless, therefore, the problems raised by the recent revolution in natural science are followed, and unless natural scientists are enlisted in the work of a philosophical journal, militant materialism can be neither militant nor materialism’. He believed that the interest caused by Einstein’s Theory of Relativity and other scientific developments since the late 19th century were leading the world’s people to atheism. This movement towards atheist materialism could only be politically and philosophically secure if it was firmly based in Marxist philosophy, particularly the Hegelian dialectic. ‘For our attitude towrads this phenomenon to be a politically conscious one, it must be realised that no natural science and no materialism can hold its own in the struggle against the onslaught of bourgeois ideas and the restoration of the borgeois world outlook unless it stands on solid philosophical ground. In order to hold his own in this struggle and carry it to a victorious finish, the natural scientist must be a modern materialist, a conscious adherent of the materialism represented by Marx, i.e., he must be a dialectal materialist…In my opinion, the ediotrs and contributors of Pod Znamenem Marsksizma should be a kind of “Society of Materialist Friends of Hegelian Dialectics”. Modern natural scientists (if they known how to seek, if we learn to help them) will find in the Hegelian dialectics, materialistically interpreted, a series of answers to the philosophical problems which are being raised by the revolution in natural science and which make the intellectual admirers of bourgeois fashion “stumble” into reaction’. Lenin’s demand for Marxist atheism to appeal to scientists partly explains why a number of scientists did join the Communist party, such as J.B.S. Haldane. 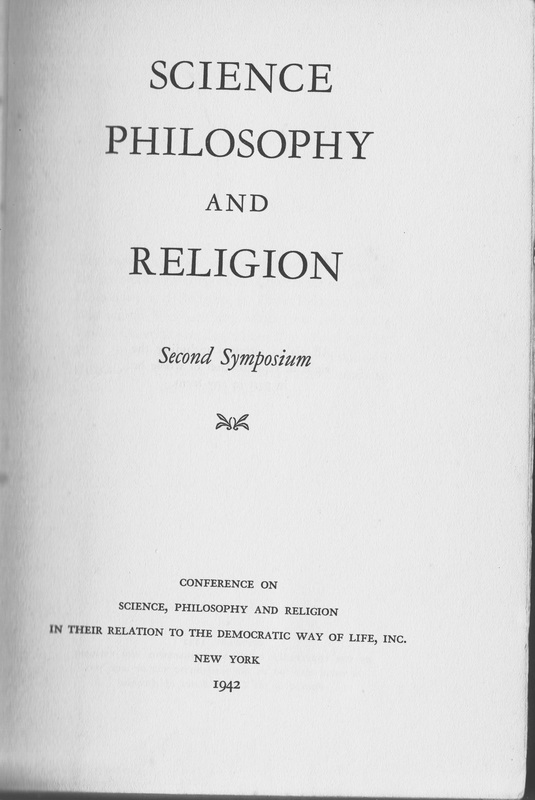 It also shows that the Marxist conception of atheism felt itself to be highly vulnerable to developments in natural science that appeared to contradict a pure materialism. Furthermore, the highly politicised, ideological form of atheism that formed the core of Marxism was to be imported into science itself. Now the proponents of Intelligent Design theory have maintained that atheism and materialism have corrupted science. While this is generally highly contentious, nevertheless it was true of Soviet Science. Soviet Science was supposed to be informed and based on Marxist materialism. As a result, it was highly politicised. The Soviet Union could produce some superb scientists, such as the rocket pioneer Sergei Korolyev. Yet it could also viciously persecute those individuals whose scientific views did not find official favour, with the result that in many areas Soviet Science was remarkably backwards. They remained behind in computer technology, for example, because Stalin’s scientific advisor believed it was a pseudo-science. It is therefore very clear that for Lenin, Marxism was a kind of militant atheism to be promoted as the only true atheism, and that Marxist atheist materialism was to form a vital part of the Soviet scientific enterprise. V.I. Lenin, ‘On the Significance of Militant Materialism’, in Lenin: Selected Works (Moscow: Progress Publishers 1968) 653-60.